Ben is a reporter for Fox 13 here in Utah. He knows more about how local politics and government run than pretty much anyone else. You should also follow him on Twitter. 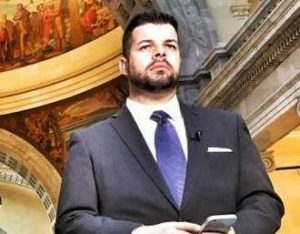 On this episode Ben talks about spending the day following Donald Trump around while on his recent trip to Utah, and he tells us what important legislation is coming up here in Utah. This entry was posted in Podcast Episodes and tagged Ben Winslow, Bill Allred, Fox 13, News, Politics, Salt Lake City, The Let's Go Eat Show, Utah. Bookmark the permalink.